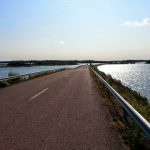 Archipelago Trail is a four day circular self-guided cycle tour across Turku Archipelago, one of the most popular cycling routes in Finland. The tour will take you through stunning archipelago sceneries. The islands are connected by numerous bridges and ferries. The peace and tranquility, particularly in the rugged outer islands, is a must if you want to experience Finland at its best. Most of the surfaces along the route are paved, making your ride comfortable. The profile varies from fairly flat to some rolling hills. After a good night’s sleep and breakfast at you will start your tour. Your first destination is Nagu village from where thet ferry Östern will take you to Rymättylä. The ferry ride takes about an hour and a half including a short stop at the island of Själö. Soon after you arrive at Rymättylä you can have a quick stop to climb up the restored WW2 air surveillance tower for a breathtaking view over the islands. Your accommodation is at a modern holiday resort outside the city centre or at your choice on a traditonal farm. Your second day of cycling will take you via Velkua and Taivassalo to Kustavi. The first part covers some rolling hills, but you are in no hurry to the next ferry. The route will take you over some bridges with magnificent views. Your accomodation is by the sea side in a small boathouse with in-suite toilett, showers are in separate sauna building. Shortly after departing in the morning you will take the ferry to the remote island of Iniö. Enjoy the nature trail which offers scenic views over the island and take a short stop in the local village. 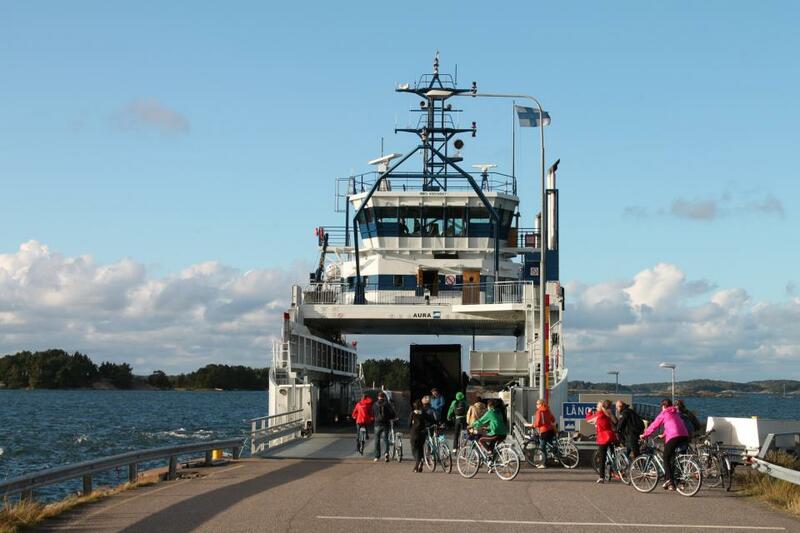 A one hour ferry ride with m/s Antonia will take you further to the island of Houtskär. In Houtskär you may visit the village with a museum with traditional boats and the charming wooden church. Continue along the winding roads to the ferry to Korpo and your accommodation situated by the sea side. You are welcome to enjoy a Finnish sauna and a dip in the sea . After breakfast you will cycle back to Korpo village and continue to the ferry to the island of Nagu. We recommend a stop at the main village in Nagu which with its lively marina serves as a centre for the whole archipelago. For the last night accomodation in Nagu in a cosy B&B. Day 6. Individual departure from Nagu. Or if you prefer to stay one or two more days and relax in the Archipelago. It is also possible to begin the tour from Turku and return to Turku from Nauvo directly by boat 5 days/week. Prices include accommodation in shared double room & breakfast (5), sauna on day 3 &4, bike with helmet and panniers, luggage storage in Nagu during the trip, required ferry tickets and free parking space. 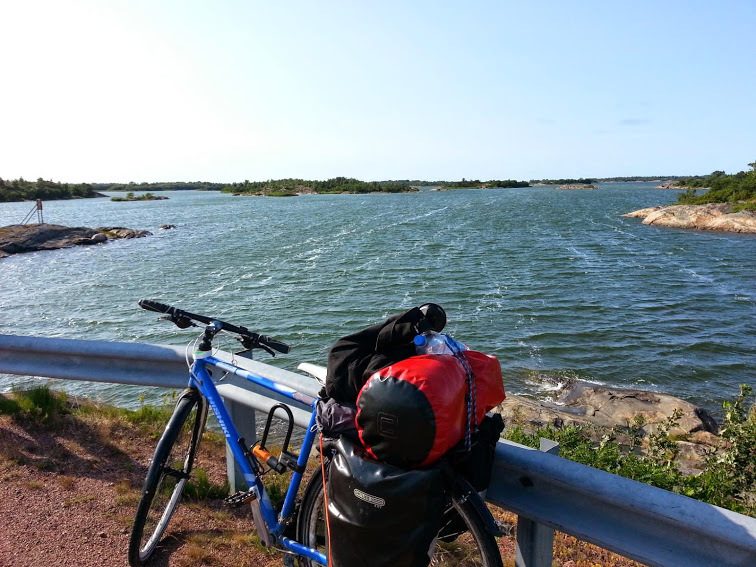 This short two and a half day circular independent cycle tour starts from Turku. You will be visiting both small towns and the island villages connected by bridges and ferries. The roads are paved and partly there are separate cycle lanes. The route profile is relatively easy, but with some rolloing hills on second day. Individual arrival to Turku. Accommodation in ***hotel in city centre. Explore Turku, the oldest city in Finland in the afternoon. You are welcome to store extra luggage at the hotel during your tour. 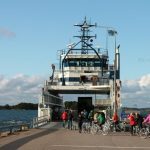 The first day of cycling will take you through the small archipelago towns of Kaarina and Pargas before arriving at the island of Nagu by ferry. Pargas offers great opportunitites for a detour if you want to explore castle ruins, museums or even a big open limestone mine. There will also be several idyllic cafées and handicraft shops. Your accomodation at Nagu will be in thev tiny but lively Nagu village or at B&B Västergård, in a converted barn in the country side. After breakfast you will start by boarding, the morning or midday ferry over to Rymättylä. The ferry ride is about one hour. Soon after the ferry you can stop and climb up to the WW2 air surveillance tower for a view over the islands. Before reaching the busy Naantali you will pass Kultaranta, the summer residence of the president of Finland. Your accommodation is in Naantali city centre near the water front. In the evening you have time to explore the cosy wooden houses and restaurants along the shore line. The third day is only a short distance back to Turku. Individual departure from Turku, alternatively spend the day and an optional night in Turku. The price includes accommodation in shared double room with breakfast (3), bike with helmet and panniers, storage of excess luggage in Turku, required ferry tickets, route guide with map. The optional luggage transport is available on Monday starts. The tour is available for start every day during the season from mid May to the first week in September. On the first day we welcome you to B&B Västergård on the island of Nagu (Nauvo in Finnish). Nagu is easely accessed by car or public transportation from Turku. If you are starting from Turku accommodation is in a small ***hotel in Turku centre. From Turku you will start as day 7. In either case you are welcome to store extra luggage during your tour. 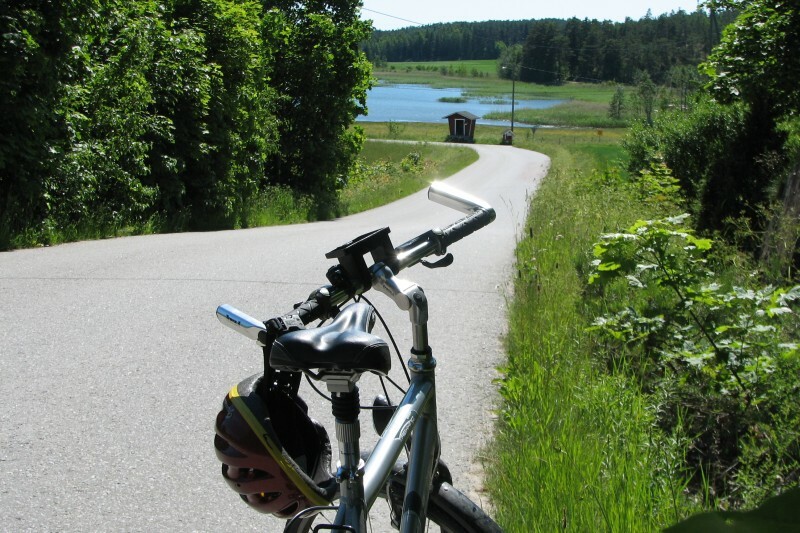 After breakfast you start by cycling towards the small, but lively Nagu village. After a break continue along the winding gravel road towards the ferry to Korpo island. In the afternoon board the ferry to Kökar island, part of the semi-independent Aland islands. Accommodation in a home stay (dinner included). Continue your odysse of the small island communities. Visit the church of St. Anne, which was built in the site of the old monastery church and the ruins of the monastery. The next ferry will take to to the island of Föglö. Accommodation at B&B situated in the local museum. The rooms have shared toilets and showers. Start in the morning with the ferry to the mainland of the Aland islands. Accommodation in a romantic guesthouse. If you have time, we suggest an extra night for relaxing or local cycling! 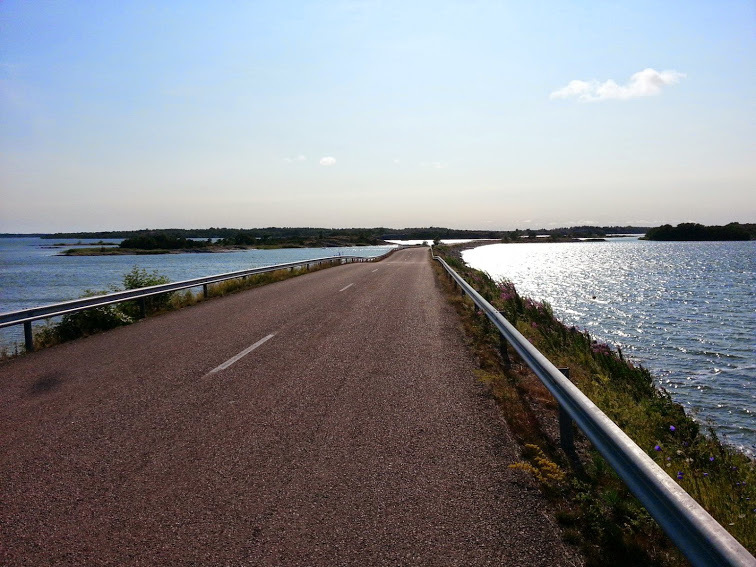 Today you will cycle along minor roads to Mariehamn, the capital of the semi-independet Aland islands. Accommodation in ***hotel in Marienhamn. An extra night here gives you more possibilities to get to know the town. You have the morning for visiting the sights in Mariehamn before you will board the Viking Line cruising ship back to Turku. Accommodation in *** hotel in city centre. The last cycling day will take you via pitoresque town of Naantali to Nagu where you will end your tour with dinner in the evening. You are welcome to stay an extra night in Nagu for cycling, kayaking or relaxing. When you prefer it is alos possible to start fron Nagu and end your tour in Turku. 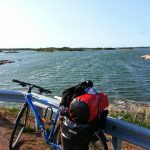 The price includs accommodation in a shared double room with breakfast (7), dinner (2), bike with helmet and panniers, storage of excess baggage, required ferry tickets, route guide with map and courtesy transport to nearest bus stop or free parking in Nagu. The tour is available on a daily basis from June 15 to August 12. Outside the main season we can offer a limited availability.